Its real! 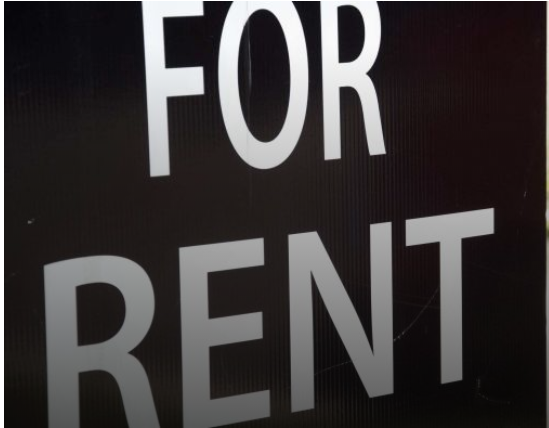 Renters are bearing the brunt of outdated laws more than we think. 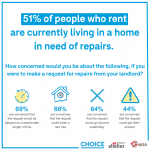 Of the 650 or so renters who completed the survey reported on in ”Lives turned upside down”, just under half had direct experience of a no grounds eviction. 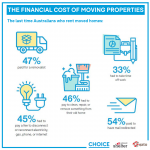 The result – renters are moving more often and renters are experiencing housing instability. But even renters who have not experienced a no grounds eviction, the threat of one is enough to create anxiety and fear for tenants, many whom hold back from reporting problems for fear of being evicted. 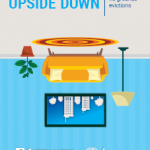 Read the full report here about the impact on tenants of no grounds evictions. The experience in Queensland is NO DIFFERENT. That’s why we need your support to change the law in Queensland. Please share with your family and friends so they can support us to change this archaic law in Queensland. a default position that tenants can have pets and even where a tenant is required to seek consent it can only be refused if ACAT has approved the refusal. Rent increases of up to a prescribed amount, if a landlord wants a higher increase the tenant has to agree, or the landlord has to apply to ACAT. a new process for modifications of a property by a tenant. a new limit imposed on break lease fees to ensure they only cover a landlord’s actual loss. tenants right to vacate by providing 3 weeks notice if they are given a no cause termination notice during a fixed term tenancy. The changes will take at least 12 months to implement. Unfortunately other changes including an attempt to end unfair evictions and the creation of minimum standards were not supported. Despite not winning changes to unfair evictions, landlords will be required to provide a statutory declaration if they are going to evict a tenant because their family will be moving in. With the government still planning to table a tenancy law reform bill in parliament mid-year, we are kick starting the campaign! As you know the Queensland government’s public consultation about tenancy law (Open Doors to Renting Reform) closed on November 30. They are currently pulling together a report on all the responses. As we build momentum we’ll be calling for your help to lobby politicians and the community. Making a Place Your Home – TQ calls for a shake up of laws! 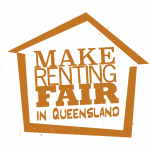 Listen to the Minister for Housing (Hon Mick de Brenni), the REIQ and Tenants Queensland discuss tenancy law reform issues with ABC’s Emma Griffith. Property standards, rent increases and limitations, pets, and property inspections are all covered on Tuesday morning’s FOCUS program. The launch of Disrupted – 2018 Report by CHOICE, National Shelter and NATO attracted a range of publicity. Are you a renter looking to improve tenancy rights? 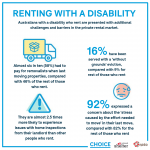 Your submissions to government’s Open Doors to Renting Reform close on November 30!! And we’ve just made it easy for you through this link – it will take you 2 minutes! seven point plan. Alternatively, go to the Open Doors site and make your own submission. 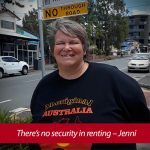 This post from Tenants Queensland is worth a read. It has links to the Hon Mick de Brenni, Minister for Housing and Public Works’ two media releases from last Sunday. The article also outlines recommendations from the Queensland coroner on the topic of minimum standards following the 2012 death of a baby in a rental property. for the introduction of minimum standards in residential tenancies. The introduction of minimum standards is not a cause for concern for reasonable investors but a safeguard for renters against those lessors unwilling to ensure their property is fit to live in for their tenants. A key to ensuring minimum standards are effective is taking away the responsibility from individual tenants to enforcing the law. Minimum standards should be enforced by a third party empowered to investigate alleged breaches, order rectifications, deliver sanctions, and provide public access to important records. The Minister says there has been 35,000 people engage with the government’s Open Doors to Renting Reform, with another five weeks to go for consultations.